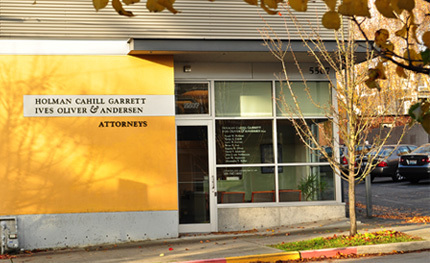 Our office is just a few blocks north of University Village at the northwest corner of 35th Avenue NE and NE 55th St. It is the taller modern building; there is a cemetery on the southwest corner. The entrance to the client parking lot (on the north side of the building) is on 35th Avenue NE. If you are having trouble finding us, please call 206-547-1400. Take Ravenna Blvd. exit (# 170) toward NE 65th St.
Take Exit No. 171 toward NE 71st St./NE 65th St. Turn left at the first light, onto NE 65th St.
Go south on arterial such as 15th Ave. NE, and turn left onto NE 75th St. If you are coming from NW Seattle, cross the freeway on NE 80th, and turn right immediately once you are over the freeway onto Banner Way, which then turns into NE 75th St.